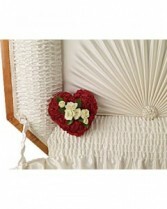 Perfectly romantic! Steal their heart this Valentine's Day or any day with this majestic mix of classic red roses, tulips and white lilies, hand-delivered with love in our exclusive blown glass vase. 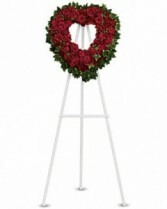 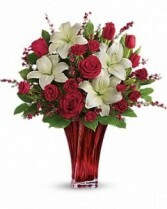 With its graceful twist and rich red hue, it's an unforgettable symbol of your love. 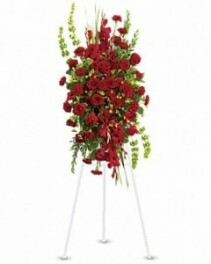 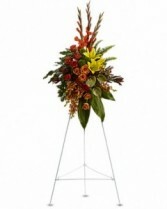 This passionate display of red roses, red spray roses, red tulips, and white asiatic lilies is accented with red leptospermum, leatherleaf fern, and lemon leaf. For a life that has been joyfully lived, this opulent arrangement featuring lavender roses and green gladioli is an expression of gratitude for shared times together. 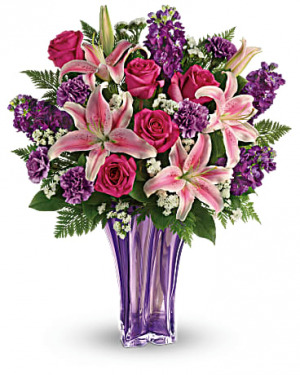 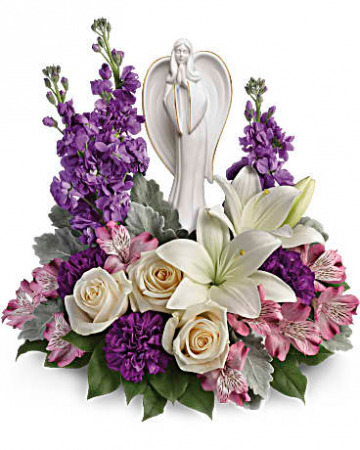 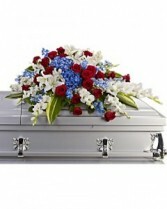 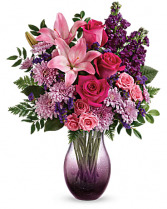 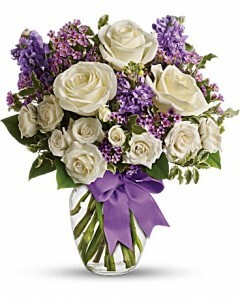 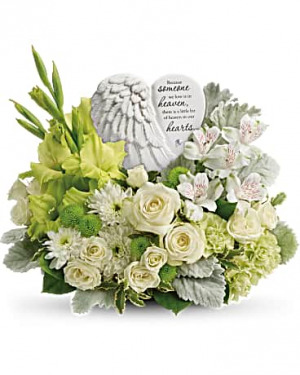 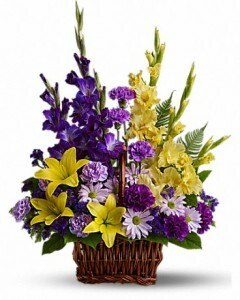 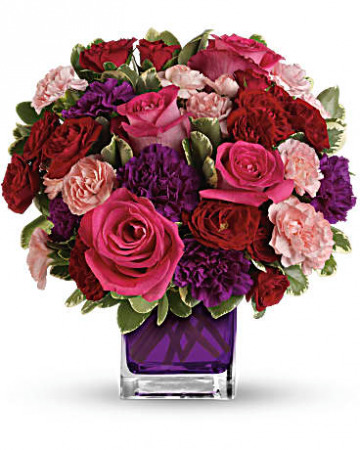 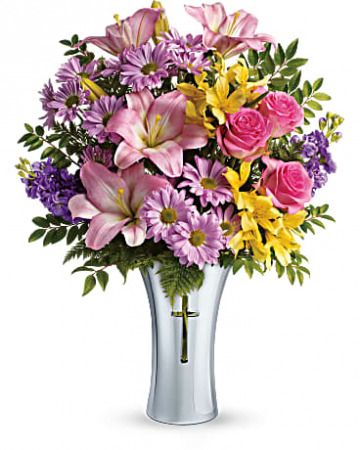 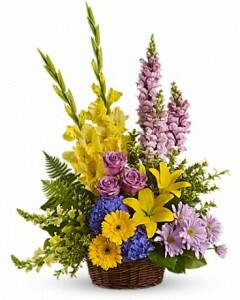 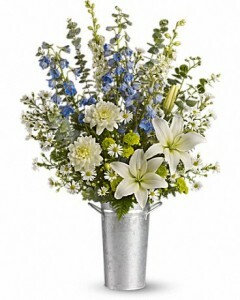 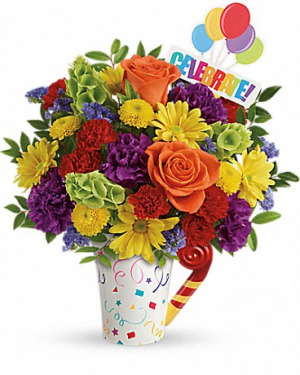 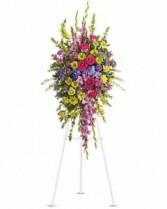 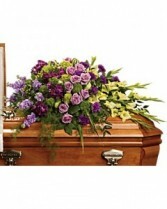 The lush arrangement includes green miniature hydrangea, lavender roses, purple alstroemeria, green gladioli, green trick dianthus, purple carnations, lavender stock and green hypericum, accented with assorted greenery. 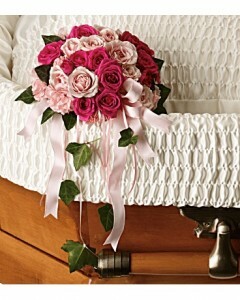 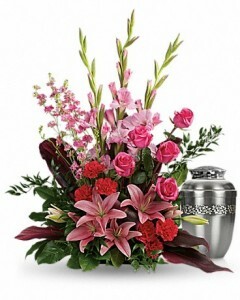 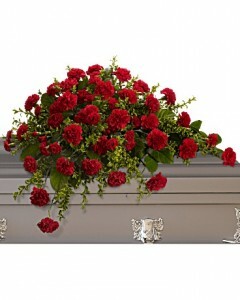 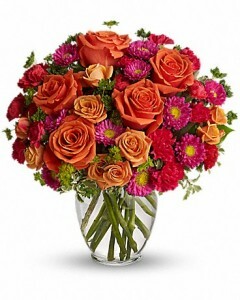 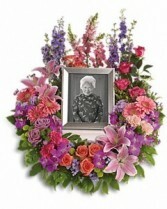 This soft, sweet arrangement of peach roses and yellow spray roses is a lovely tribute to a beautiful life. 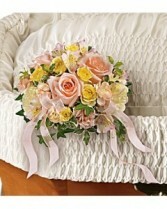 Gorgeous peach roses are arranged with light yellow spray roses, pink alstroemeria, light yellow carnations, miniature peach carnations, pitta negra and variegated ivy.